This topic contains 3 replies, has 3 voices, and was last updated by Robin February 21, 2019 at 2:39 am. After successfully building three two-strokes I decided to try something else. 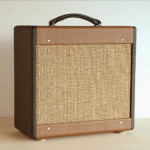 I wanted to build a bass amp so I started looking into building a Fender Bassman. 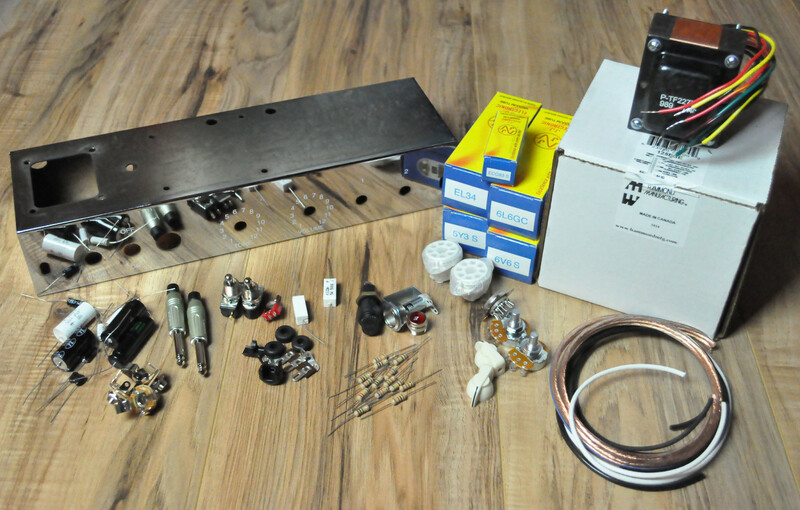 I found Tino Zottolas’ book “Building Vacuum Tube Guitar and Bass Amplifiers (Volume 1)” and it had the Fender Bassman Project (based on the 5B6 design). I decided this was my next project. The 5B6 is a Push-Pull Class-A Tube amp, 30 Watts Output, Hand wired point-to-point, 6SC7 Preamp and Driver, 6SL7 phase splitter, a Pair of 6L6 power push-pull amplifiers and a 5U4 rectifier. I sourced all the parts and completed the build yesterday. I then fired it up, no smoke or sparks, etc.. I plugged it into a 1×12 cabinet and plugged in my Strat and the amp sounds great and is REALLY loud. The only issue I encountered is at about 75% volume it produces a loud squeal. Did some internet research and then tried a number of different things to narrow the problem down. 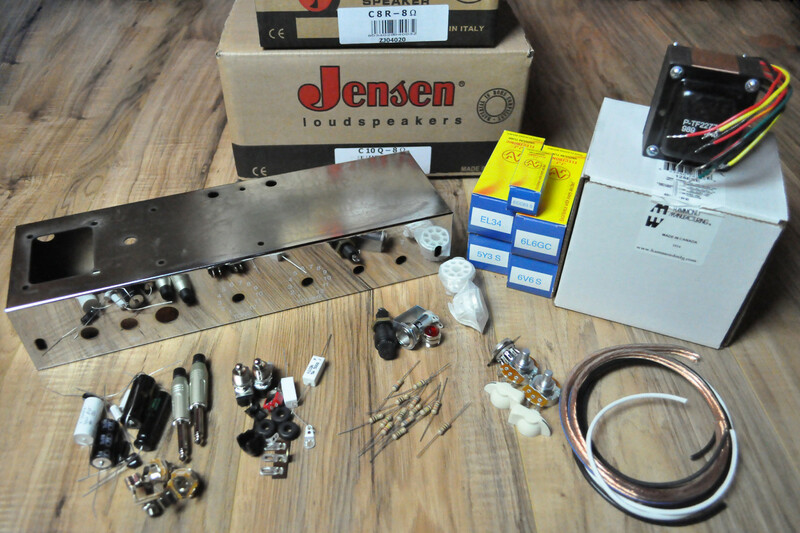 – Put the speaker cab on the floor (to avoid extra vibration on the amp chassis), same problem. – The squeal goes away when lowering the volume on the amp and/or the guitar. – Played my Musicmaster (with a Seymour Duncan JB JR pickup) to see if the single coils were the problem, same problem. – Took one 6L6 out (lower output power by half) and the problem goes away. – Replaced the 6L6’s with another pair of 6L6’s and the same problem. – Replaced the 6L6’s with pair of 6V6’s and the problem goes away. – Touching the top of the 2nd 6L6 with my finger can make the problem go away??? So far my only conclusion is that the problem is present only at high volume/high output as reduced volume and reduced output (one 6L6 or two 6V6’s) eliminate the problem. Sorry, just seeing this as we has some email issues. Did you figure this out? Yes. I reversed the OT primary wires on the power tubes and that did the trick. Thx. That will do it, with a squeal in a new build or OT replacement, that’s the first thing to check.